Digital imaging is becoming a powerful tool for data storage and information retrieval. Image comparison and similarity evaluation has become part of the information market and it is today a common part of, for example, web search engines. The cork oak tree (Quercus suber L.), the dominant species of the ‘montado’ woodland system is, due to its cultural and socio-economic value, protected by law that prevents extensive destructive studies on an essential part of the tree—the root. Especially in the Mediterranean zone, where the water is the limiting growth factor, the root development studies are of significant interest. In this work we present a method of using digital images for cork oak coarse root systems-evaluation by means of digital imaging. Acquired images of structural roots are processed automatically to prevent subjective decisions by the human observer. 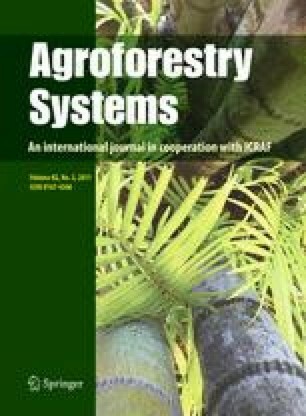 The performance of the method, its potential for semantic retrieval and similarity assessment is demonstrated, having as example eight young cork oak root systems, and critical issues for evaluation and conclusion-making, are discussed. This work was done with the support of the following projects: Agroreg – natural and artificial regeneration of montados (www.agroreg.uevora.pt) and Transsub – root systems of cork oak and transplant of adult trees (www.transsub.uevora.pt). The first author would like to acknowledge FCT (Fundaçao de Ciencia e Tecnologia) for funding the research, through grant SFRH/BPD/29953/2006.